We are just a few days away from the launch of Maruti Suzuki Baleno RS in India. The Baleno RS is one of the important cars from Maruti Suzuki for multiple reasons. It is the first time that the company is bringing a performance-centric car. Secondly, it debuts the Boosterjet motor in India which is Suzuki's first turbocharged motor in the country. Maruti Suzuki had first showcased the Baleno RS concept at the 2016 Auto Expo wherein it did draw attention but not as much as the Ignis crossover. Presently, the sub-Rs 15 lakh performance hatch segment in India has the Volkswagen Polo GT and the Fiat Punto Abarth. The Baleno RS will compete with these two offerings with its new 1.0-litre 3-cylinder Boosterjet turbo-petrol engine. The performance figures for the same is believed to be around 112PS and 175Nm, 28PS and 60Nm more than the regular version. 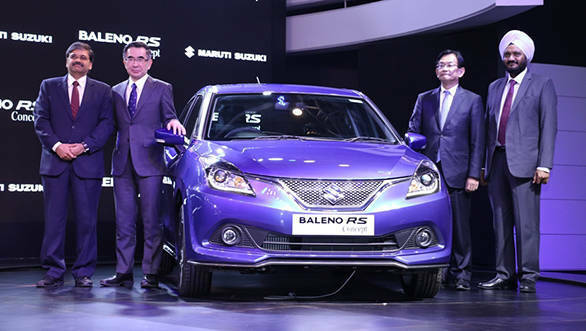 The Maruti Suzuki Baleno RS will be manufactured at the Manesar plant along with the regular models. We also believe that the company might look at manufacturing the Baleno at its Gujarat plant that will bring down the long waiting period of 6-7 months. Since there is no confirmation from Maruti Suzuki on this, we believe the RS too will have a similar waiting period. Maruti Suzuki's Nexa dealerships have started accepting bookings for the Baleno RS for a token amount of Rs 11,000 which is also refundable. We expect Maruti Suzuki to price the Baleno RS competitively between Rs 8.5-9 lakh.